Just a list of the 123 players released by Premier League clubs this summer – nothing more, nothing less. Arsenal; Thomas Cruise, Roarie Deacon, Mark Randall. Birmingham; Marcus Bent, Lee Bowyer, Sebastian Larsson, James McFadden, Mitchell McPike, James O’Shea, Stuart Parnaby, Kevin Phillips, Daniel Preston, Luke Rowe, Robin Shroot, Maik Taylor. Blackburn; Jordan Bowen, Jason Brown, Zurab Khizanishvili, Benjani Mwaruwari, Michael Potts, Maceo Rigters. Blackpool; David Carney, Daniel Coid, Ishmel Demontagnac, Rob Edwards, Jason Euell, Marlon Harewood, Richard Kingson, Malaury Martin, Paul Rachubka, Andy Reid, Salaheddine Sbai. 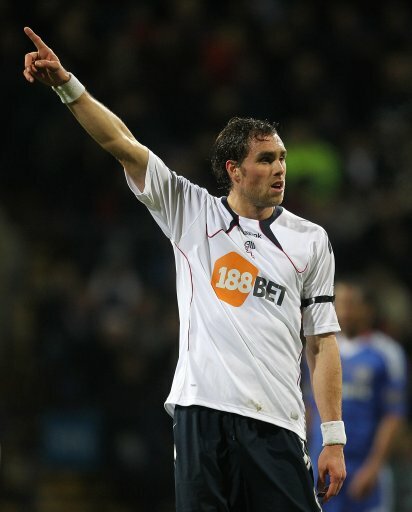 Bolton; Tamir Cohen, Johan Elmander, Ricardo Gardner, Joey O’Brien, Jlloyd Samuel, Samuel Sheridan. Chelsea; Samuel Hutchinson, Carl Magnay, Danny Philliskirk, Jan Sebek, Michael Woods. Everton; Kieran Agard, Hope Akpan, Nathan Craig, Gerard Kinsella, Lee McArdle, Iain Turner. Fulham; Zoltan Gera, Edward Johnson, Diomansy Kamara, John Pantsil, Matthew Saunders. Liverpool; Jason Banton, Deale Chamberlain, Douglas Cooper, Sean Highdale, Steven Irwin (Crocodile Hunter? ), Nikola Saric. 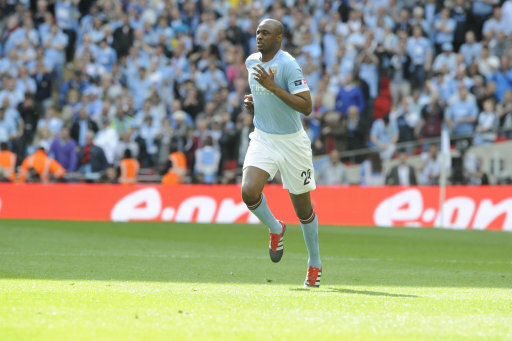 Man City; Javier Garrido, Scott Kay, James Poole, Shaleum Logan, Andrew Tutte, Javan Vidal, Patrick Vieira, James Wood. Man Utd; Conor Devlin, Owen Hargreaves, Gary Neville, Paul Scholes, Edwin van der Sar. Newcastle; Sol Campbell, Shefki Kuqi, Patrick McLaughlin. Stoke; Abdoulaye Faye, Eidur Gudjohnsen, Ibrahima Sonko. Sunderland; Michael Kay, Nathan Luscombe, Daniel Madden, Robert Weir, Nathan Wilson, Mvoto Jean-Yves, Bolo Zenden. Woody’s out on his own, is this the end of line? West Brom; Giles Barnes, Marcus Haber, Dean Kiely, Abdoulaye Méîté. West Ham; Anthony Edgar, Holmar Eyjolfsson, Daniel Gabbidon, Lars Jacobsen, Filip Modelski, Jonathan Spector, Adam Street, Matthew Upson. Wigan; Steven Caldwell, Daniel De Ridder, Joseph Holt, Jason Koumas, Thomas Lambert, Thomas Oakes, Francis Pollitt, Abian Serrano Davila. Wolves; Adriano Basso, Jody Craddock, John Dunleavy, Marcus Hahnemann, David Jones, Nathan Rooney. …or there and there abouts. 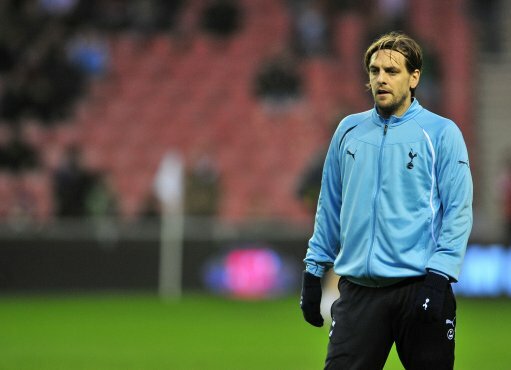 genuinely shocked that only woodgate has gone walking from spurs! Released? Don’t you mean retired. Forgive me if I’m wrong, but wasn’t Garrido already transferred from City to Lazio last summer? @Jh: That’s what we (and Wikipedia) thought. May be something to do with the small print of his contract at City/Lazio, may just be a mistake. @Victor Meldrew: According to the PA, they all count – and who are we to argue? Craddock’s not been released. Extended by a year again. Some of these retained lists are utter tripe. Garrido signed for Lazio last summer! Surprised that Thomas Cruise was released. For a while, he was considered the next big thing–strange world, football. That ” released XI” team would get relegated before boxing day!